Now your money can keep up. In partnership with Zelle®, we’ve built a revolution in P2P (person-to-person) payments that's already available to more than 95 million people nationwide – and counting. Zelle makes it easy to transfer money to another person in the U.S. – and receive it, too – from your mobile device or computer. Best of all, Zelle is free for U.S. Bank customers. Money you send via Zelle can be in your recipient’s account in minutes.1 Recipients who bank with other Zelle partner institutions need only enroll through their bank to receive money; those who don't can enroll independently using the Zelle app and a U.S. debit card. 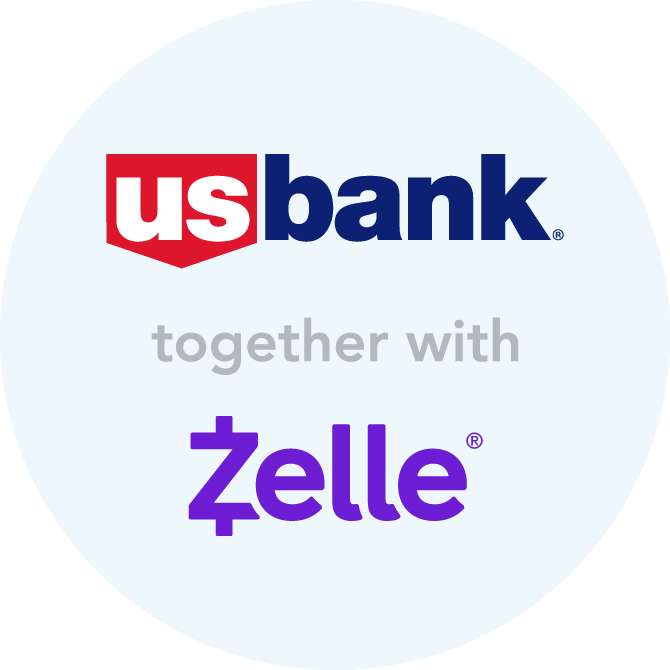 Note: As a U.S. Bank customer, you can enroll to receive money with Zelle here. No checks. No cash. No hassle. You’ll find Zelle right in the U.S. Bank Mobile App or Online Banking. All you need is the recipient’s email address or U.S. mobile phone number. You can even add their information directly from your mobile device’s contact list. You’ll love the simple, elegant interface. Just pick a recipient (or add a new one), enter the amount and hit “Send.” Requesting and receiving money is just as easy. You can track Zelle payments in online or mobile banking. With Zelle, you never have to wonder where your money is. P2P payments travel directly from account to account with no holding accounts and no stops in between. And as a U.S. Bank customer, your Zelle transactions are protected by our Online Risk-Free Guarantee. Note: As with any financial interaction, we recommend that you use Zelle only for transactions with people you know and trust. Next time you reach for cash or checks, try Zelle P2P payments instead! To send money in minutes with Zelle, you must have an eligible U.S. Bank account and have a mobile number registered in your online and mobile banking profile for at least 3 calendar days. Transactions typically occur in minutes when the recipient’s email address or U.S. mobile number is already enrolled with Zelle. Recipients must have an eligible bank account in the United States. Terms and conditions apply. Zelle and the Zelle related marks are wholly owned by Early Warning Services, LLC and are used herein under license.